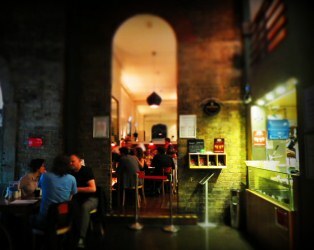 The IFI Café Bar Evening Supervisor will oversee the evening trade, looking after the dinner shift, special events and receptions, and pre/post film drinkers. The IFI Café Bar Evening Supervisor will continue to develop a comfortable and inviting atmosphere to encourage cinemagoers to use the Café Bar, look at events to increase business and covers, and build on an already strong customer base. Ensure that customers are being looked after in a timely and courteous manner. Liaise with the kitchen to ensure any changes to menu or delays are communicated to customers. Monitor food quality and presentation at all times to ensure high standards are maintained. Presence on floor to make sure customer service levels are consistently high. Ensure that staff has a good knowledge of what’s on in the cinemas, alongside a thorough knowledge of our menu and wine list. Supervise floor and bar staff and ensure they are fulfilling their duties. Liaise with staff from time to time to foster a team spirit and encourage the sharing of ideas for the business. Liaise with the Centre Manager on how to increase sales and covers, and to constantly improve the service and offering at the IFI Café Bar. Be aware of current trends and the business in the area and keep the IFI Café Bar relevant and up to date with current opportunities in the sector. Ensure the Café Bar is welcoming and attractive up until closing time. Ensure the Café Bar is stocked properly. Perform end of shift cash reconciliation. Ensure cash is kept safe and securely dropped. Monitor for any health and safety issues and report to Centre Manager. Any other relevant duties that may arise from time to time as directed by IFI Management. The successful candidate will be highly motivated with outstanding interpersonal and customer service skills. They will be capable of dealing efficiently and courteously with staff and public. They will be capable of working in a busy environment and have an understanding and knowledge of similar establishments around the City. Experience with food and drink sales, and managing/supervising people, is desirable. The candidate will need to be flexible and although primarily will be looking after the evening trade, will need to cover others shifts if and when required. All applications should be made by email – Subject line IFI Café Bar Evening Supervisor with a covering letter and curriculum vitae to jobs@irishfilm.ie by 12.00pm Friday February 22nd 2013. Applications received after this deadline will not be considered.